I have a crazy amount of paper flowers in my craft room from my scrapbooking days which might be why I love these cute silk flower turkeys so much. A project is always more fun when you already have all of the supplies on hand. Actually, that isn't true, then you don't get to shop. But, I do get excited when a see a cute way to use up something I already have. These cute turkeys are great for napkin ring, place cards, or about a dozen other things. And they might must be the perfect project to keep younger kids busy! 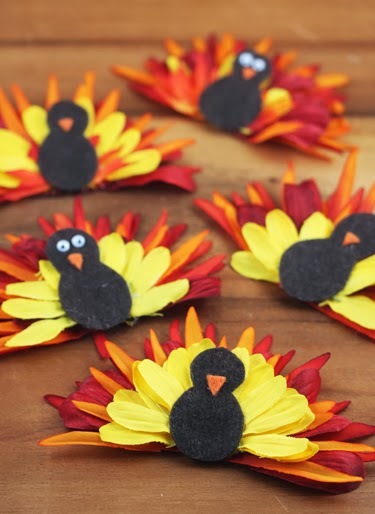 You can check out how to make these flower turkeys over at Our Best Bites.